In September, First Draft launched a global Partner Network of newsrooms, fact-checkers, human rights organizations and technology platforms. The goal? To collaborate on improving how information that emerges online is reported, verified, circulated and consumed. At the time of our launch, issues of trust and truth in news were a growing concern, but even we did not predict the rapid escalation in debate that has dominated industry headlines in recent weeks. This sense of urgency to tackle challenges has cemented our focus and confirmed that working together has never been more important. 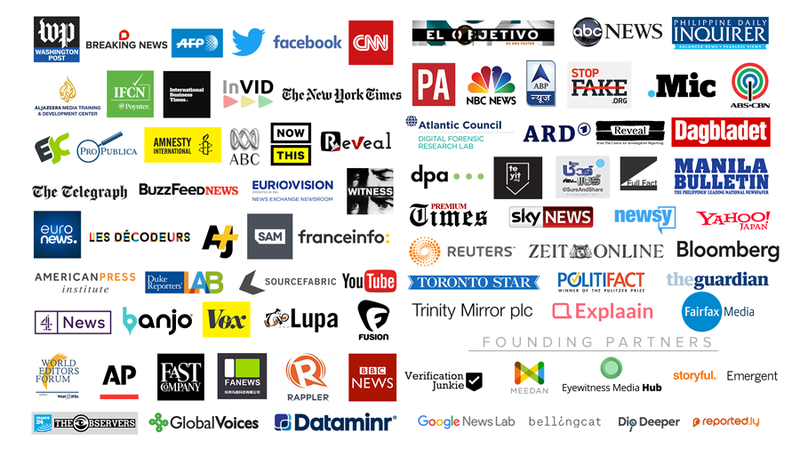 In the past few months, our network has doubled in size and we are delighted to welcome new members, including The Associated Press, ABC News, BBC News, Banjo, Bloomberg, Dataminr, Deutsche Presse-Agentur, the Guardian, NBC, NowThis, Rappler, Reuters, Sky News, Trinity Mirror and Zeit Online. In the coming months, we will build on our network of international partners who can contribute specific expertise and experience to the challenges we collectively face. See here for a full list of partners. The goal of the partner network is to help raise knowledge and standards, agree to possible solutions, put them into practice and share learnings and recommendations. We recently organized three off-the-record meetings to hear from our partners about what to prioritize and how they could actively contribute. These meetings resulted in a list of action points for 2017, falling into three categories: collaboration, training and research. To launch early this year, the First Draft Newsroom will be a virtual verification community hosted on the Check platform. Verified users from within the Partner Network will work together on investigating the origins and authenticity of images, photographs, videos or claims that have been challenged. The results of this work will be fed back to audiences via participating partners and will also be available as a public feed to which other organizations and individuals can subscribe. We will be hosting meet-ups around the world to connect a broad and diverse range of people to share their experiences and ideas relating to the digital information ecosystem. These include technologists, journalists, academics, news literacy specialists, librarians, policy makers, and interested members of the public. Our first summit will bring together representatives from minority communities and individuals who have been directly impacted by misinformation campaigns on both a local and national level. At all of our meetings, two key challenges emerged as a focus for 2017: (i) to design a consistent visual grammar around verification, debunking and fact-checking and (ii) to work on ways to minimize the negative impact on eyewitnesses who are caught up in news events, in terms of protecting their rights and safety. First Draft will coordinate efforts in these areas and report progress on firstdraftnews.com. In order to reach journalists and investigators around the world, First Draft is going to be launching a Verification Training Corps, a global network of licensed First Draft trainers using standardized and approved materials to deliver workshops, seminars and desk-based observation training. We will be publishing a full description and criteria for applicants who would like to become a licensed First Draft trainer in the coming months. We will also continue our series of First Draft Guides, focusing next on vicarious trauma for those regularly working with distressing content, and then practical help for eyewitnesses caught up reporting major news events. In April 2017, the French election provides a perfect case study that will allow First Draft to combine training, research and collaboration. Partners in Europe are already working on ways to collaborate around the real-time verification of articles, images and videos, and First Draft will be playing a role in training journalists, students and volunteers. Additionally, one of our founding members Bellingcat, will use the investigative techniques developed during their work on the conflicts in Ukraine and Syria and the downing of flight MH17, to examine the networks driving systematized trolling, fake news, and other attempts to influence the election by external actors. Experiments will be carried out using different methods for communicating the fact-checks and debunks to collect evidence of effective techniques that can be shared more widely with the industry. We hope lessons from the project will provide a framework for other election monitoring projects around the world. 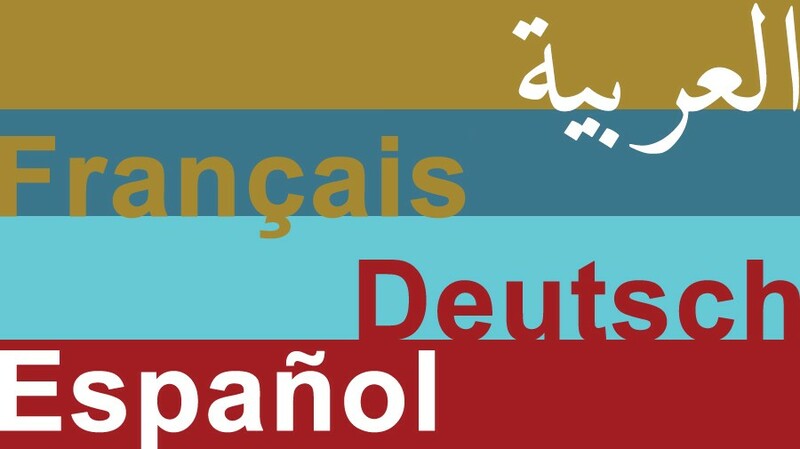 To support the global interest in these issues, we recently launched versions of firstdraftnews.com in four languages: Arabic, French, German and Spanish. We have translated our top performing posts and will be adding one new article or resource per month in each language. We have received incredible support and interest in our work since launching the Partner Network in September and are still working out how best to involve every organization and individual who has expressed a desire to participate. If you are waiting to hear from us regarding involvement then we thank you for your patience and will be in touch soon. For more about First Draft and the work we do, go to firstdraftnews.com.